What builds national character? Poets and troubadours and musicians, who are peripatetic men and women of immense erudition, who make proverbial journeys as did Odysseus; wandering like medieval apothecaries in search of the magical and the mystical; and those who are also ready to sing to anyone who will give ear. They would naturally be griots and keepers of the collective consciousness who sing the world and its nations of their history. 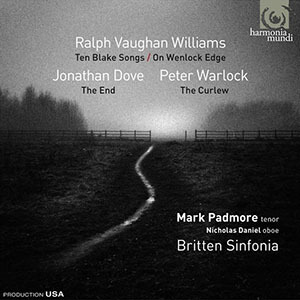 It is this tradition comes the Lieder in a record that builds character—the one entitled Ten Blake Songs/On Wenlock Edge plus The End and The Curlew by the late English composer, Ralph Vaughan Williams. The songs attempt to define and then build upon the national character of Britain, in the wake of Germany, where Lieder originated. On this recording, the composer begins the remarkable repertoire with the stirring poetry of A.E. Houseman (1859-1936) whose angular imagery cuts through the bitter chill and the bleak air in a song cycle “On Wenlock Edge,” to William Blake’s (1757-1827) cycle of “Ten Poems,” from the film The Vision of William Blake Songs of Innocence and Experience reminded a faltering English consciousness that they were still God’s creatures if they aspired to be so. The recording also features “The Curlew,” a brilliant series of little-known poems W.B. Yeats (1865-1935), who challenges the poets of the Isles to “sing” with a more concrete image that still howled in the wind as Mr. Yeats poems often did. There is also a fine poem by Mark Strand (1934- ), “The End,” which contemplates the tumultuous slipping into nothingness, with stark imagery. And all this sung by the great tenor, Mark Padmore, master of English song and a modern griot; enabler of national character and narrator of history. Mr. Padmore is one of those superior musical intellects with superb diction, wondrous enunciation and a passion for wringing everything out of a beauteous image. 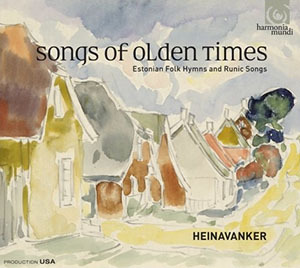 Though not quite as ancient as the Estonian folk hymns and runic songs, this collection of ancient Tudor Church Music is equally fascinating. Composers of this exciting a capella repertoire include 16th Century composers, William Byrd (1540-1623), Thomas Tallis (1505-1585), Thomas Gibbons (1557-1602), Orlando Gibbons (1583-1625), Robert White (1538-1574) and John Taverner (1490-1545). 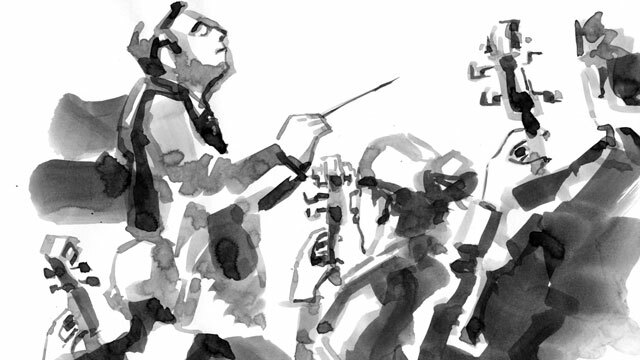 The hymns and liturgy composed at the height of the glory of European polyphony symbolise a refinement of the revolutionary movement—invented at the time of the Gregorian chants. This kind of religious music forever influenced the music that was to follow, right up to the present day a capella groups including those in jazz. The highlight of this repertoire is William Byrd’s fabulous Mass for Five Voices, which is truly inspirational and is certainly path-breaking. 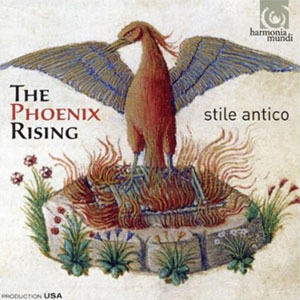 Much of the kudos must go to Stile Antico, a choral ensemble that has been established as one of the most exciting groups in Europe and now in the rest of the world as well. Their interpretations of Tudor repertoire exists in a magisterium characterised by complete devotion to accuracy and an astounding degree of mastery of salvation history as proffered by the English church—first Catholic, but, eventually, after Henry VIII, which became Anglican. Essentially though the theology and doxology remained unchanged through the ages until the Latin liturgy and the subsequent modern English liturgy that came after the twenty-first ecumenical council of the Catholic Church and the second to be held at Saint Peter’s Basilica in the Vatican (Vatican II) where the liturgy of the Catholic church was dramatically modernised under Pope John XXIII.